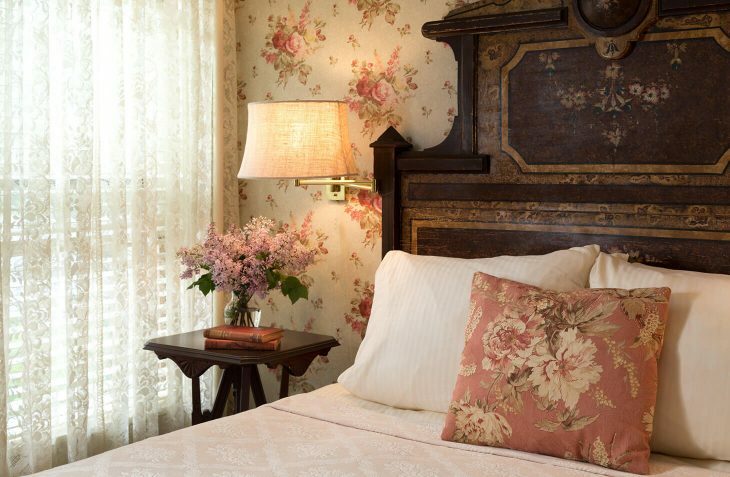 Exceptional Blue Hill Maine lodging awaits in room 6 at our Maine B&B. 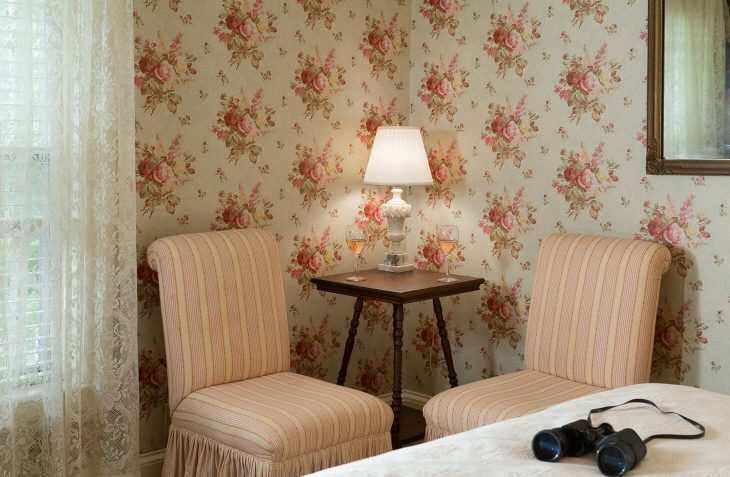 This cozy corner room overlooks the perennial gardens with soft shades and floral patterns mirroring the view. 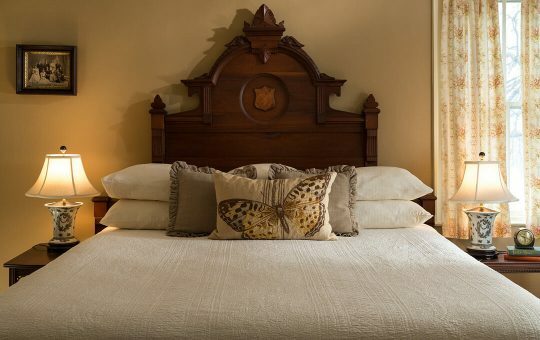 The queen bed has an 1870’s faux painted headboard and matching dresser. Early morning coffee is right outside your door. The private bath offers a tub and shower and lots of shelves. 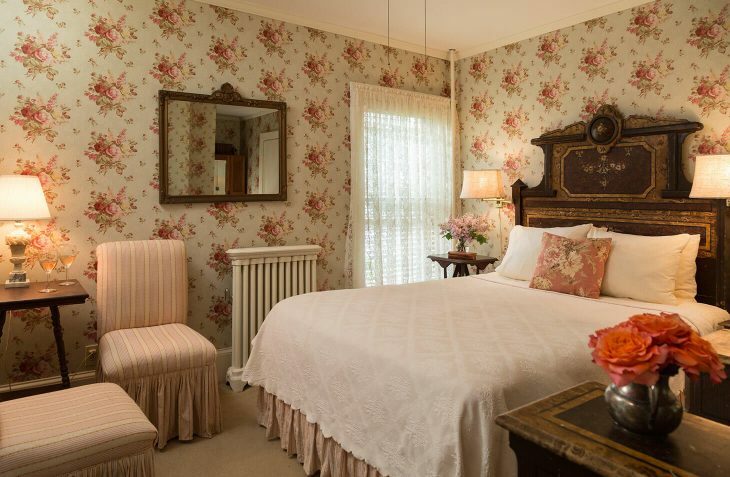 Your Maine vacation will be relaxing and wonderful with us at our coastal inn.